L. Gore & Associates is taking the next generation of its versatile, totally windproof and extremely breathable functional fabrics to market in autumn 2016, giving it a new name: GORE WINDSTOPPER. 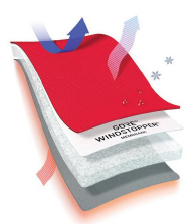 With the new GORE WINDSTOPPER product technologies, GORE has opened up a whole new range of possibilities. 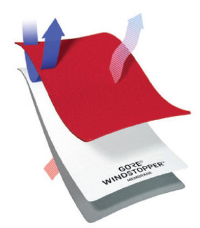 The main focus of GORE WINDSTOPPER products is total windproofness and maximum breathability. The product technologies previously known as “Active Shell”, “Soft Shell” and “Technical Fleece” have been grouped together in this category. This product category is the perfect choice for base layer garments; thin, lightweight cycling jerseys; soft shell and hard shell jackets for outdoor activities, and casual and business wear. 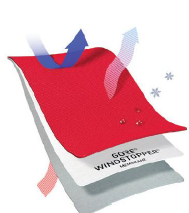 In addition, new GORE WINDSTOPPER products with Light Rain Resistance have been developed to complement this category. This product class provides protection in light rain for rainfall intensities of up to 2.5 mm/h. 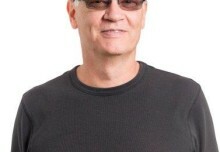 New fabrics significantly extend the scope of conventional softshells. The robust, three-layer garments have sealed seams and offer true added value to outdoor sports enthusiasts who need extreme breathability but still want to know that they are not going to get wet in light rain – ideal for year-round wear when the weather looks unsettled but not quite bad enough to justify taking along a GORE-TEX hard shell. The third GORE WINDSTOPPER product category does more than just keep out the wind and rain – it keeps the warmth in: GORE WINDSTOPPER products with Insulation Protection allow manufacturers to create the kind of lightweight, insulated and windproof garments that aerobic activities in cooler climates or down-filled urban streetwear call for. The insulation performance of these garments is highly consistent. Besides cutting out the wind, they deliver maximum breathability, allowing perspiration to escape easily and keeping the insulation dry.